Visitors to Sedona are pleasantly surprized that in the heat of the desert, flowers bloom! All in their time, of course. 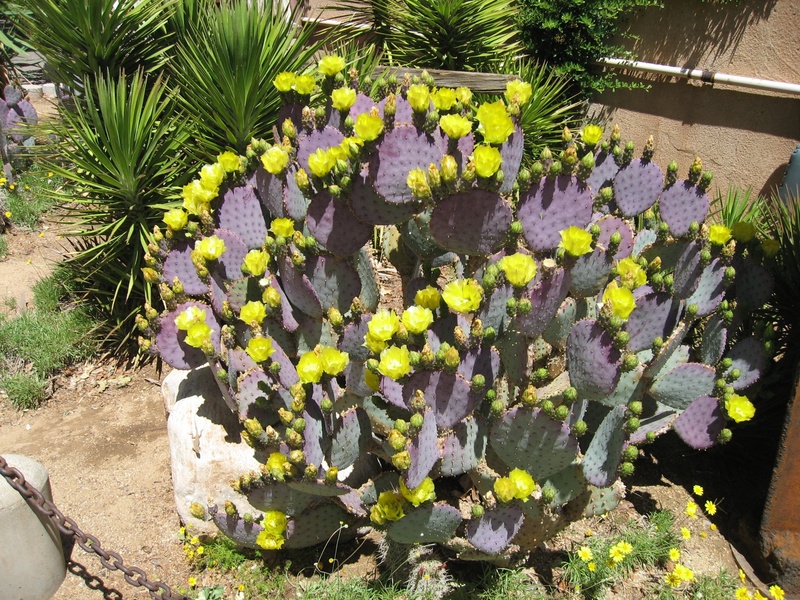 Prickley Pears are very colorful, and after the flowers stop blooming, the “pears” start growing. Javelinas (I’ll have to include a photo of these lovely creatures in a future post) love these fruits, and humans pick them ever-so-carefully to use for jams and juice. I’ve done both with not too much injury from the spikes! The story behind the naming of this rock isn’t really known, but the shape supports the moniker, doesn’t it? Nowadays, kids can’t understand the name. Coffeepots like this aren’t used at home anymore, for the most part. But writers and artists continue to be inspired by this red rock outcropping, easily viewed from the highway passing through town. There’s a hiking path at the base of Coffeepot too–not for the faint of heart, though. 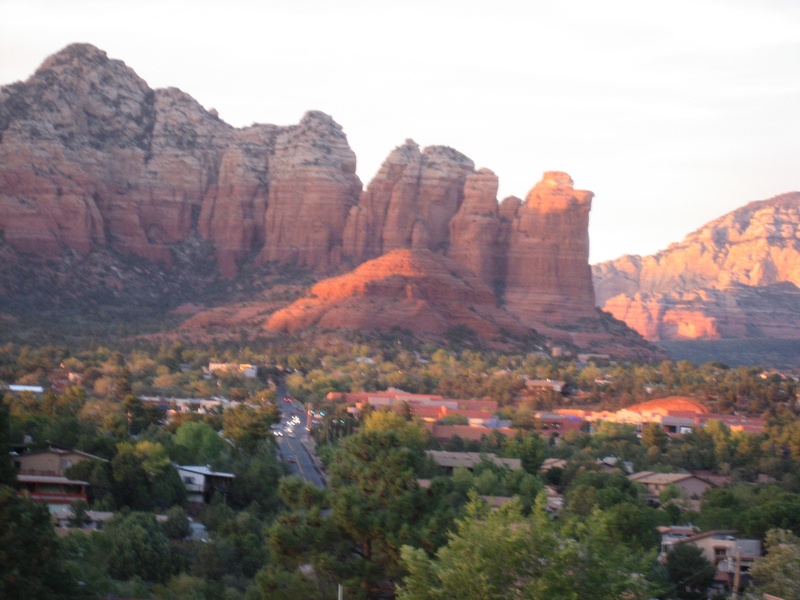 This is the famous Coffeepot Rock in West Sedona.